Suzanne Freeman, Senior Sales Consultant for Top Value Fabrics, is celebrating her 30th year with the company. Suzanne's technical knowledge, attention to detail, and talent for providing outstanding customer service have made her an asset to her customers and to Top Value Fabrics. Suzanne has created tremendous success in her role, and enjoys working with her customers to find their best fabric solutions. Suzanne's commitment to excellence has won her countless awards. She has won one of the company's top honors, Sales Consultant of the Year, nine times. 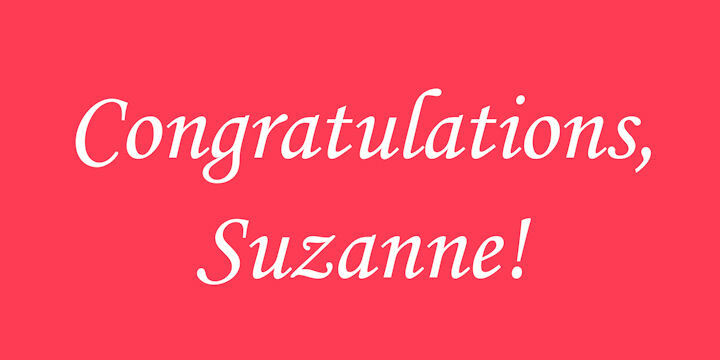 TVF is proud to recognize Suzanne's career achievements and this milestone. A 30th anniversary celebration is being planned at the company headquarters in Suzanne's honor.